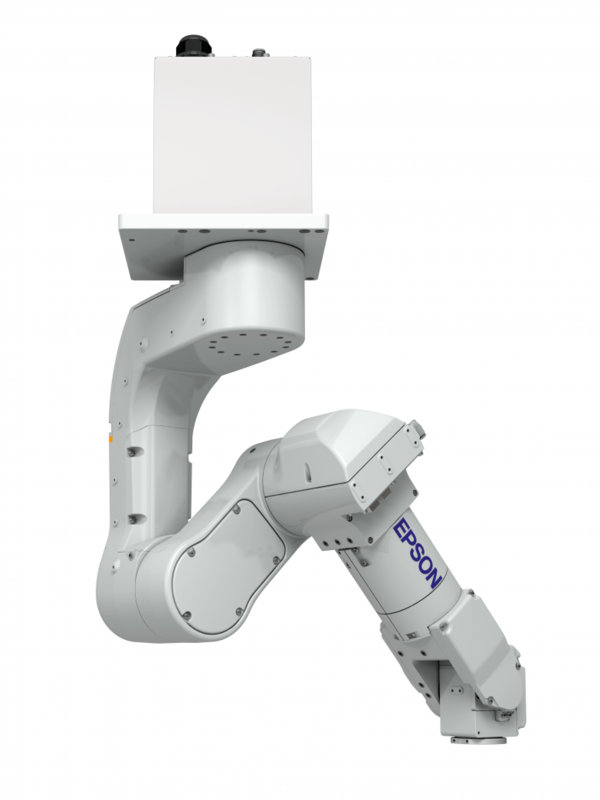 The new Epson N series 6 axis robot can reach every point of its work cell with ease – even where it’s really cramped. The reason: a revolutionary kinematic geometry with a completely new folding arm. The new N series covers an action field for which you would normally require a 6 axis robot with a significantly longer arm length. A classic 6 axis robot works in an external orientation: The arm must fully extend for reorientation. This costs space and time. In the new Epson N series, the second axis is oriented inwards, thus moving the centre of rotation downwards. This means the second axle shaft can travel through the zero position. To put it more bluntly: The second axis “hops” from one side to the other. This manoeuvrability over a very small footprint is unheard of until now, and leads to highly efficient work processes.